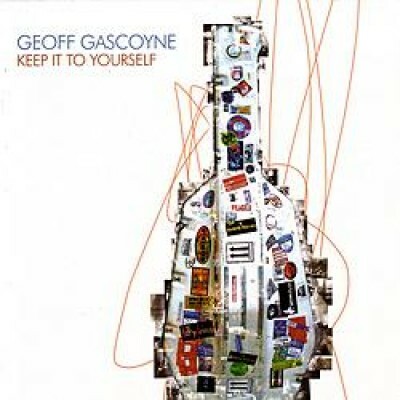 Keep It To Yourself is the eagerly awaited new album from one of the UK's most acclaimed and in demand bass players: Geoff Gascoyne. With fifteen tracks, including original compositions by Geoff alongside new arrangements of classic tunes, Keep It To Yourself not only features Geoff's skills as an acoustic bass player, but showcases his talents as a composer, arranger and band leader. The album features appearances from three special guest vocalists who Geoff performs with regularly - Jamie Cullum whose debut album Geoff helped produce; Georgie Fame, who he as worked with for over a decade; and Geoff's wife, Trudy Kerr. Trudy's fagile and emotive voice is showcased on the standard All My Tomorrows. Keep It To Yourself also features som of the luminaries of the Uk jazz scene including Tom Cawley (piano), Sebastiaan de Krom (drums), Martin Shaw (trumpet and flugel horn) and Steve Kaldesto (tenor and alto saxophone). 13) Theme from "The Terminal"